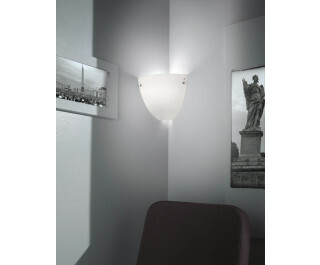 The Corner wall sconce Vistosi has been designed by Studio Tecnico Vetreria Vistosi 1993. This creation is suited for bridging corner walls where illumination is desired. This design comes in a blown glass satin-finish and is available in four colors to suit a range of settings. This beautiful light was hand crafted on the island of Murano. It is available in glossy or matt finish.